"Just as the world itself can be viewed through many lenses, the latest version of Google Maps for mobile allows you to view many layers of information on your map at the same time. Layers make it easier and more useful to find and interact with geographic content, like public transit, traffic (with incidents! ), local search results, Latitude friend locations, Wikipedia and more. 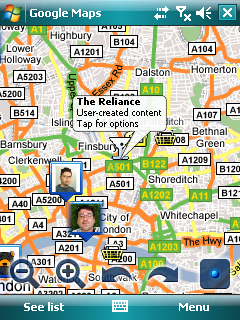 You can also see your own My Maps content as a layer on Google Maps for mobile. And finally, multiple layers can be combined at the same time to give you a content-rich view of what's around you." Layers and improved search are nifty additions to Google Maps for mobile. The updated version is available for Windows Mobile, so what are you waiting for? Go get it!